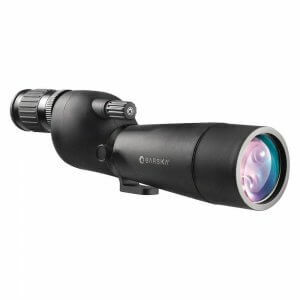 The 8-24x58 Benchmark Spotting by Barska is a great all-purpose spotter that can be used for a wide range of outdoor activities. 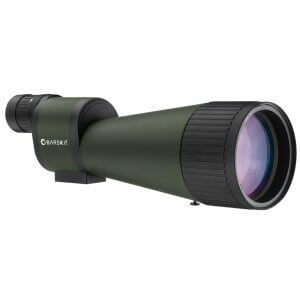 Whether you're looking to get a close-up view of wildlife or spot a target at the range, the Benchmark's powerful 8-24x variable zoom range and large 88mm objective lens will deliver stunning clarity and detail. 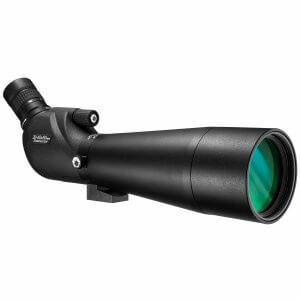 The 8-24x58mm Benchmark Spotter is 100% waterproof and shockproof, and features a rubber coating to protect the internal optics from bumps and scratches. 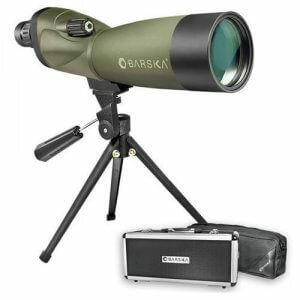 The Barska Benchmark Spotting Scope comes with a hard case, soft case, tabletop pan-head tripod, and an Accu-Grip mount for on-the-go viewing. 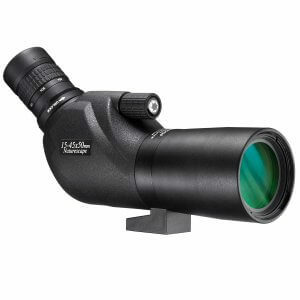 Whether you’re looking to get a close-up view of wildlife or spot a target at the range, it is important to have a set of optics that can provide you with a high quality image at any magnification. 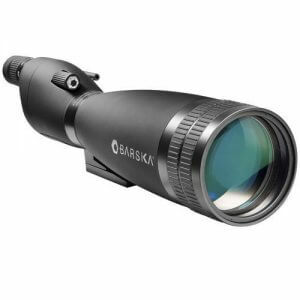 The Barska Benchmark Spotting Scope provides this type of quality optics with a powerful 25-125x magnification zoom range and a large 88mm objective lens for improved light transmission and clarity. 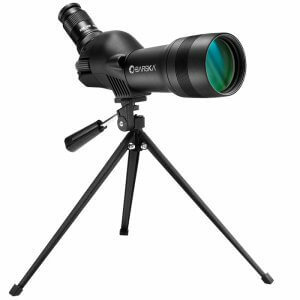 The Benchmark Spotter is well-suited for years of outdoor use. 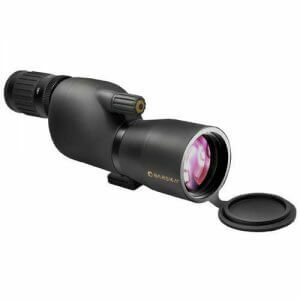 An o-ring seal and nitrogen purged construction provides full waterproof and fog proof protection, while a protective rubber coating helps protect the spotter from external damage. 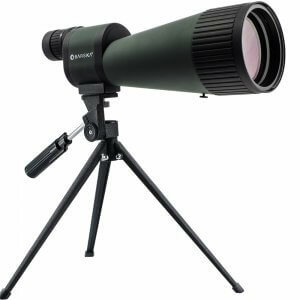 A number of great accessories are also included with this Benchmark spotting scope. 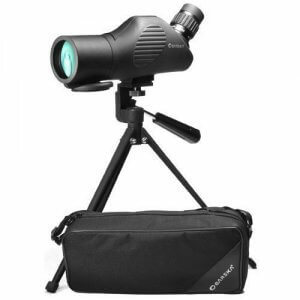 A hard and soft case help protect the spotter during storage or transport, and a portable pan-head tabletop tripod allows for stable viewing at any magnification. 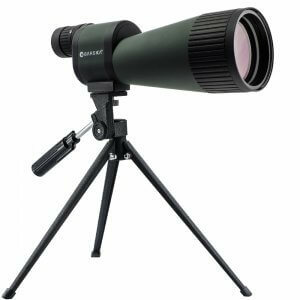 The Benchmark spotter also comes with an Accu-Grip mount that attaches to the bottom of the spotter for quick on-the-go viewing.